NEPAL. Achham District. 2004. Comrade Ranju, a 19-year old Nepali girl who is a member of the Maoist army, oiling and combing her hair during a break in her unit's schedule. Comrade Ranju claims to have killed 16 government security force soldiers in an assault in Sindhuli District. 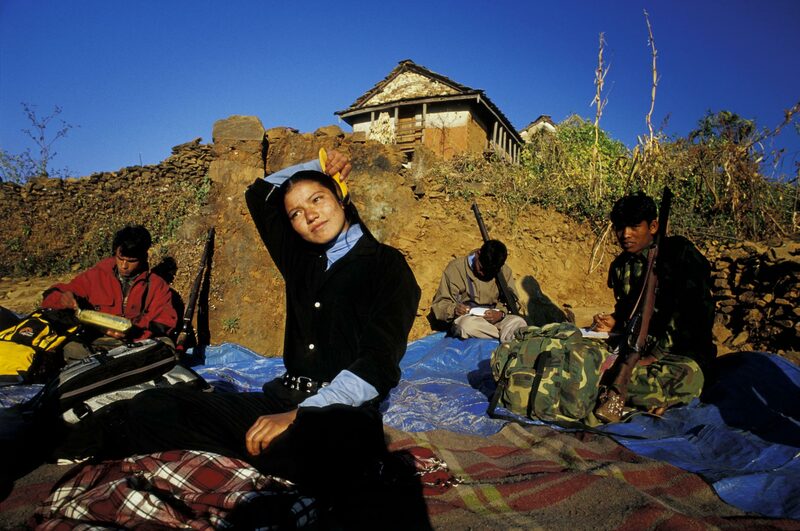 About one-third of the Maoist fighting forces are young women like her.